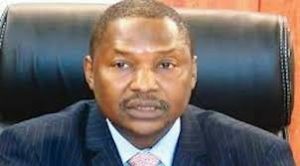 Malami distances self from Rivers election – Royal Times of Nigeria. The Peoples Democratic Party (PDP) had on Sunday raised an alarm over alleged plot by some leaders of the All Progressives Congress, APC, working with the AGF to cause constitutional crisis in Rivers State over the already decided case on the elections in the state by the Supreme Court. PDP’s spokesman, Kola Ologbondiyan alleged that the APC has been mounting pressure on the Acting Chief Justice of Nigeria, Justice Tanko Mohammed, to reverse the judgment of the Supreme Court, which upheld the verdict of the trial court that lawfully excluded the APC from participating in the Elections in Rivers State, having nullified the party’s flawed primaries in the state. 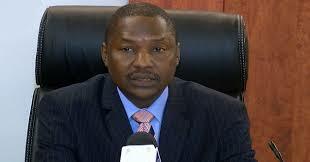 In his reaction, the AGF said as a democratic nation, Nigeria has institutions that are vested with powers to void elections if the need arises. He added that voiding of elections is not part of the responsibilities of the Attorney-General of the Federation as there are better and more important issues to attract the attention of the minister.